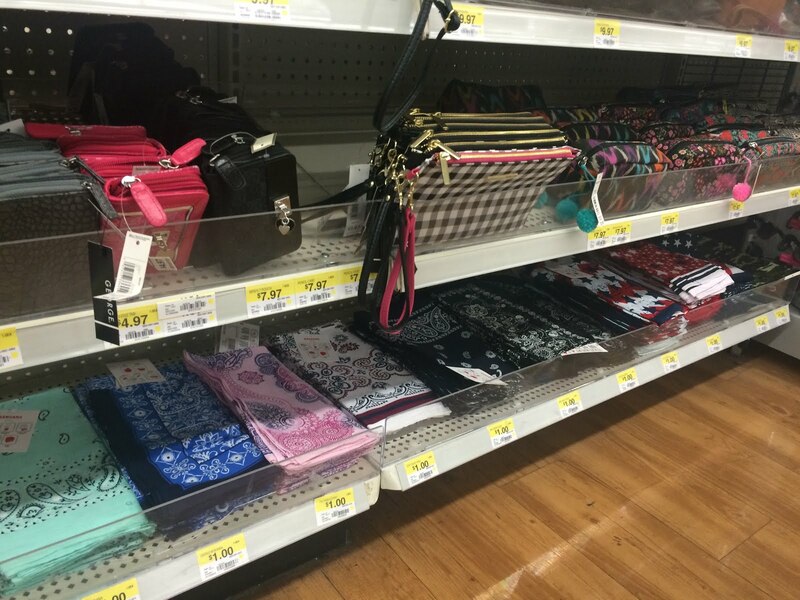 Walmart is a great place to find accessories for less...a lot less, and clothing items! 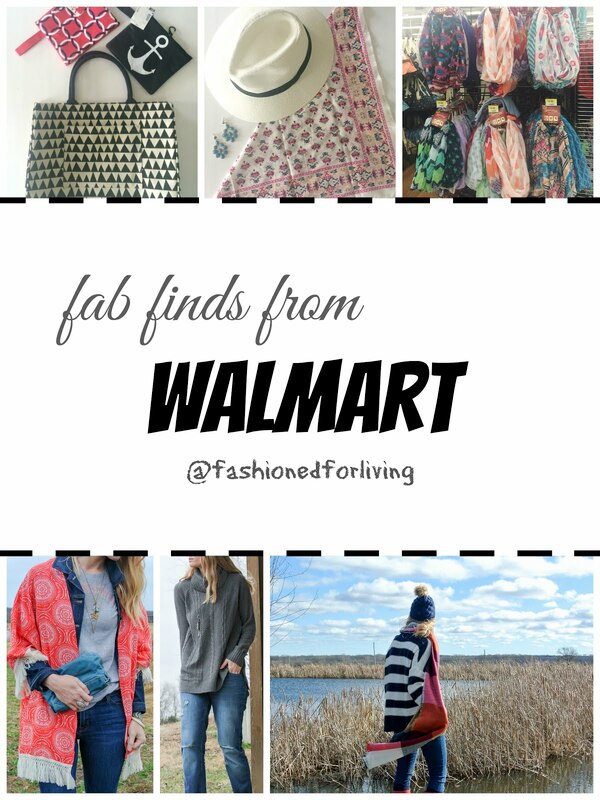 The above graphic shows outfits with some of my favorite clothing and accessory items from Walmart over the last few months. The coral kimono (click here for outfit) might still be available in store or click here to find online. The grey sweater is something I wear again, and again and was only $8. The pom hat and scarf I wore all winter long! Walmart has really stepped up their game in the last few years, and here and there I manage to find pieces that really excite me! Plus, I feel like its a little reward for going grocery shopping which is one of my least favorite activities. 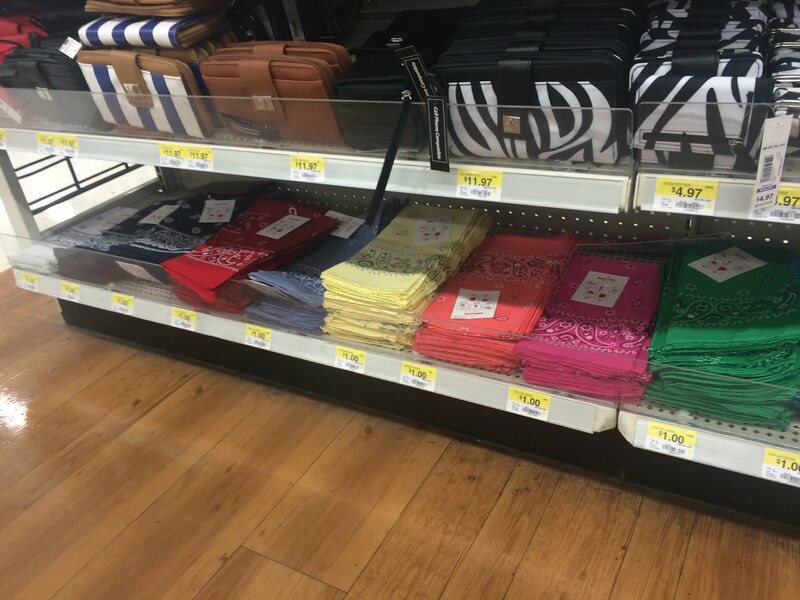 I plan to share the things I pick up or just see that I think you might like at my local Walmart, so check back!....I go once a week at least, sigh. 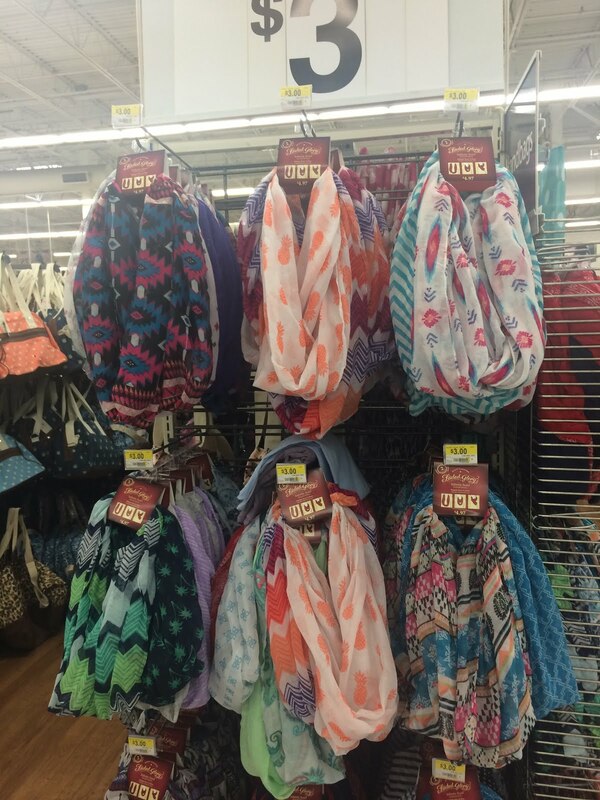 Two pack of gauzy infinity scarves perfect for spring and summer on sale for just THREE BUCKS or $1.50 per (These are normally $4.97 a two pack which is still pretty great)!! 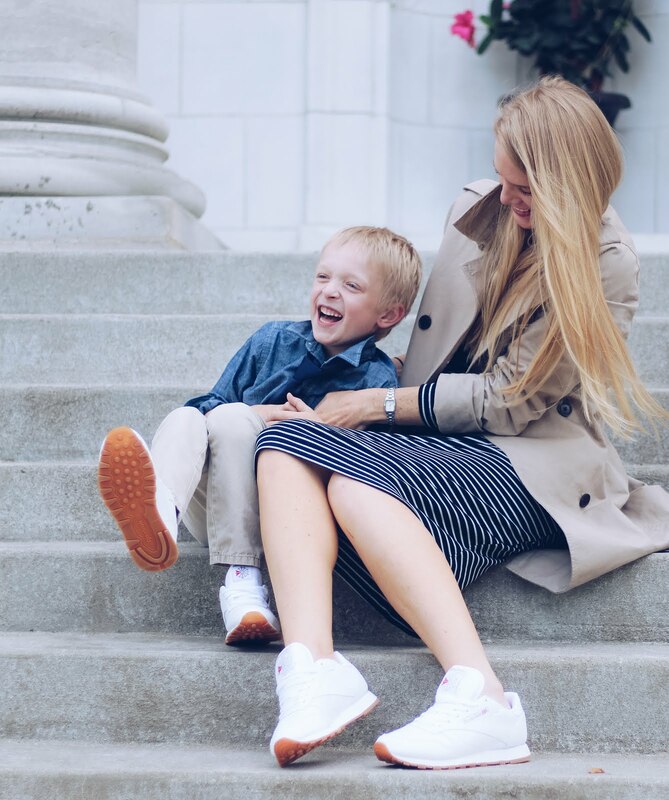 So many adorable prints to pick from!! I have picked a few of these sets up over the past couple years and they don't disappoint. 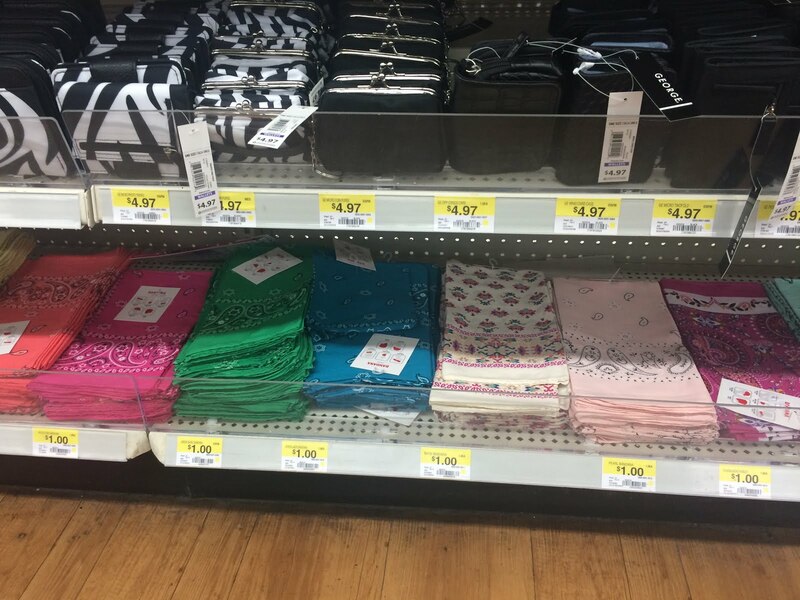 The cutest selection of bandanas for just a buck! Tie these around your bag handle or use has neck scarf. These start off feeling a little stiff, but they wash up wonderfully and become very soft. Love! 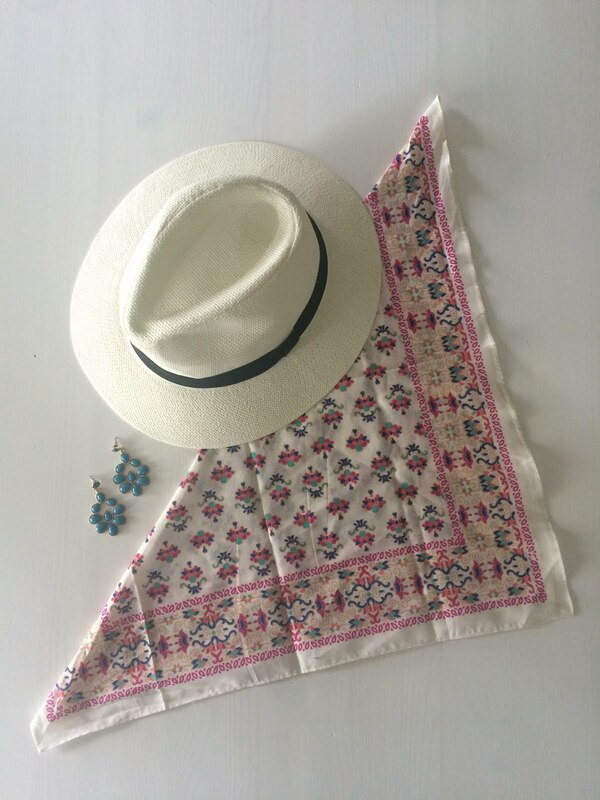 bandana/neck scarf - loved the print of this! Straw panama/fedora hat - (never sure what the proper term is) for $7.97, I think...it was less than $10 for sure! The quality is good, but I did check back over the course of a few weeks to purchase one that wasn't bent up. Turquoise earrings - I found these in a clearance bin for a buck!! 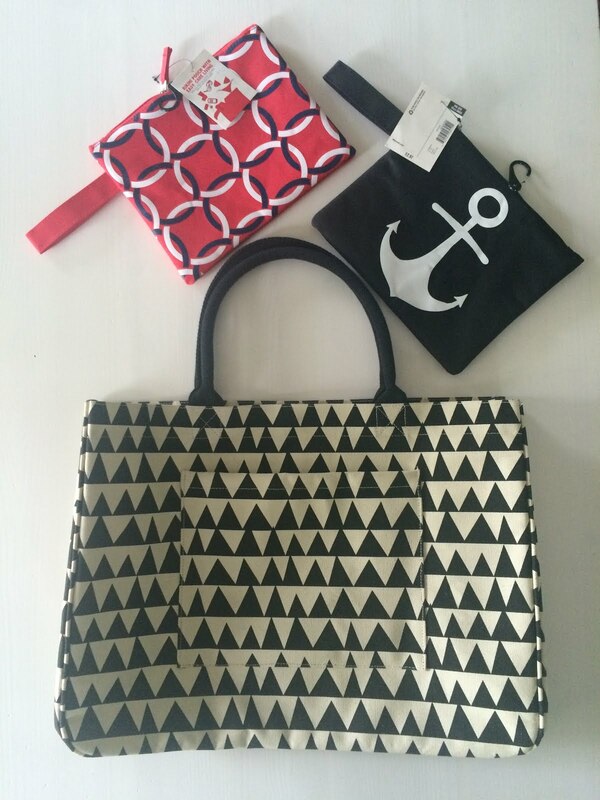 Beach bag - This bag is fabulous quality, has a snap closer, and an outside pocket...all for under 10 bucks! Wet bags - I feel like you can never have enough pouches! I only have one wet items approved pouch and I'm a tiny bit embarrassed to say I paid $10 for it. I purchased it a few years ago to keep in my diaper bag. SO, I was pretty excited to see these for just $2.97! !